Clothbound, 9.25 x 12.5 in. / 320 pgs / 244 color / 36 bw. 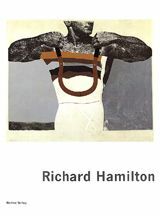 Artwork by Richard Hamilton. Edited by Dieter Schwarz. Text by Stephen Coppel, Eitenne Lullin. 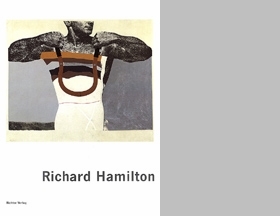 Regularly referred to as the father of Pop Art, Richard Hamilton was an early, lively, and satirical discoverer of the art of the everyday consumer good. In the mid-50s, like many artists who were to follow in his wake, Hamilton discovered the mythic and epic elements that lurked in the contemporary world of imagery and integrated these found objects into his work. If Hamilton is best known for his collages--most especially his 1956 Just What Is It That Makes Today's Homes So Different, So Appealing?--he has maintained a consistent interest in the art of printmaking throughout his career. His first exhibition, in 1950, featured etchings; in the early 60s he pioneered the use of silkscreens; and since 1988 he has created a world of images via the computer. This volume collects 64 years of the artist's prints on the occasion of his 80th birthday. FORMAT: Clothbound, 9.25 x 12.5 in. / 320 pgs / 244 color / 36 b&w.